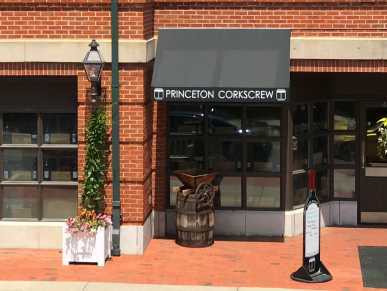 It will be a touch over three years since Matt Cline, owner and winemaker of Three Wine Company, visited the Princeton Corkscrew Wine Shop. Since 2008, Matt and his wife, Erin, have been producing some of finest wines out of Contra Costa County. Matt has a strong passion for preserving and educating on the historic varietals of California — Carignane, Mataro, Zinfandel — which represent the last vestiges of what the California wine industry was prior to prohibition in the 1920s. In addition, Matt continues to promote the practice of working with a diverse number of varietals, shunning the singular varietal trend that is both unsustainable and not historically accurate. Three Wine Company is a family winery focused on sustainable growing, coupled with a hands-on wine experience. With over 35 years of winemaking experience, Matt espouses the philosophy that “the dirt, the micro-climate, and sustainable wine growing, from vineyard to bottle, form the cornerstone of good winemaking;” a philosophy that has helped his wines become staples at the Corkscrew for nearly a decade. Please circle April 27th on your calendars and tell all your friends, as we welcome back Matt for his first Saturday tasting at the Princeton Corkscrew! We have introduced four new wines from Three Wines’ phenomenal lineup since Matt’s last visit, so we are as eager as all of you to learn what will be on the tasting table. We look forward to seeing you here for what is sure to be another spectacular Spring tasting.